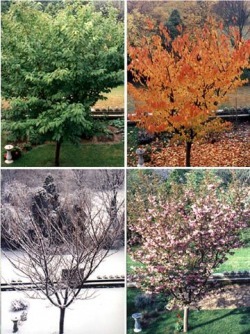 Throughout your childhood and schooling, you have probably become aware that there are four different seasons. Here in Michigan have fall, winter, spring, and summer, but have you ever wondered what causes these drastic changes? If you look at the four pictures to the left, you will see not only a big difference in the tree, but you will also notice changes in the scenery surrounding it. What causes these changes? Yes, the temperature does change quite a bit. We also, have a change in daytime and nighttime hours, but how does all of this happen? What gives our Earth its Seasons? Examine and explore the websites below to generate your own ideas. Be sure to write down your observations, and pay close attention to the perspective from which, you are viewing from. Is your perspective/view from Space? From Earth? Are you seeing a top view? A side view? Etc... *Note: This is what makes these concepts so challenging, so think carefully!